Work-life balance has been a discussion item with C-level executives and the HR departments for more than 20 years. The generational drumbeat of giving employees more balance and more freedom gets louder each year. This month, USA Today shared a video on how millennials are quitting lucrative jobs to pursue a better work-life balance. Although work-life balance is cherished by employees and often makes headlines, companies may struggle with what is the right balance between the workforce wishes and the business demands. 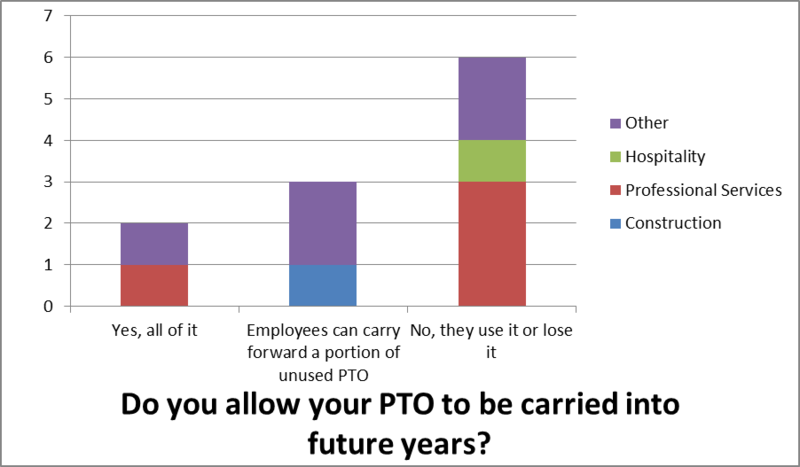 CFO Strategic Partners conducted an informal survey to find out company policies on PTO and flex time for work – two key components of work-life balance. 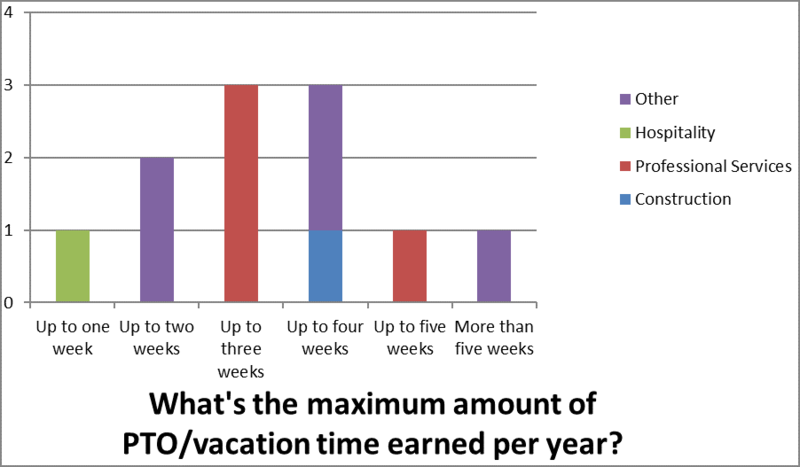 The survey results showed standard vacation benefits with limited flexibility. Most companies prefer employees work in the office, and flex time is generally used on an as-needed basis. 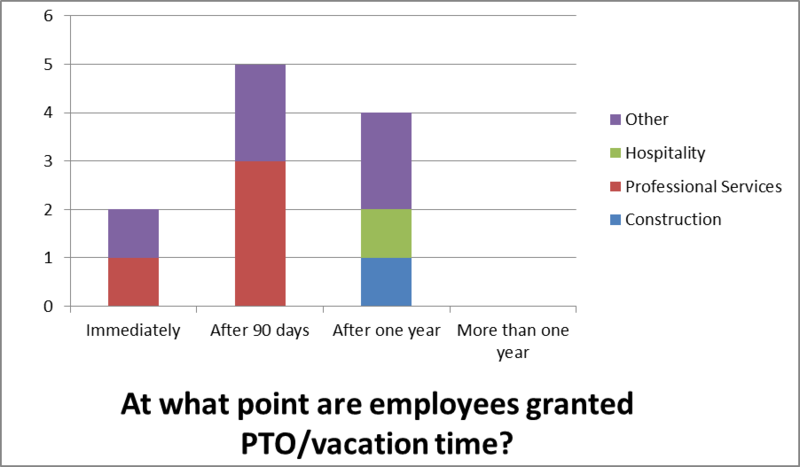 PTO and vacation time appeared to follow a traditional model, with the most common policy of a set amount of vacation or personal time used within a calendar year. For a bigger breakdown of survey answers, see the charts below. CEOs recognize that benefits deserve important considerations. Not giving enough will drive quality employees away over time. Giving too much can create long-term financial liabilities. 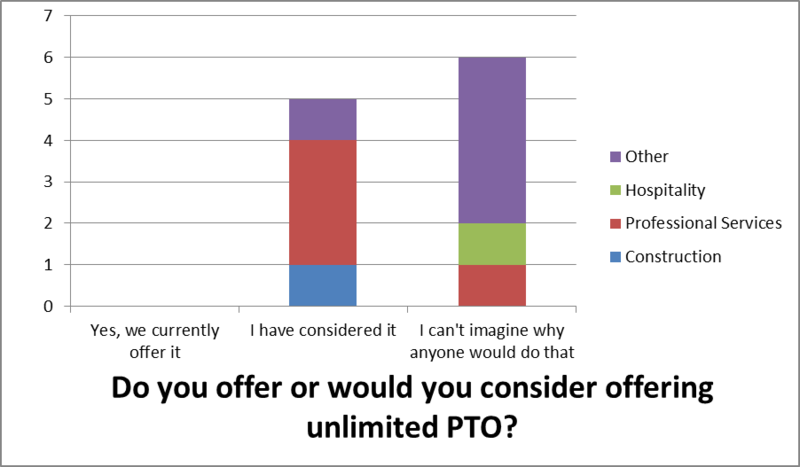 If you are interested in finding out more about industry benchmarks and latest trends in PTO, we would welcome the discussion to help find the best balance for your company.